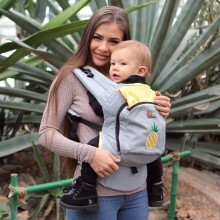 Our “Florida” ergonomic baby carrier is from our popular AIR series which is more suitable for larger and heavier babies up to 3 years of age. 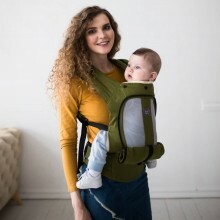 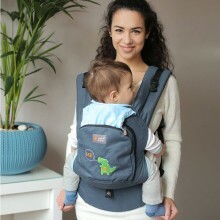 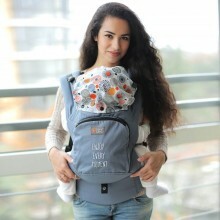 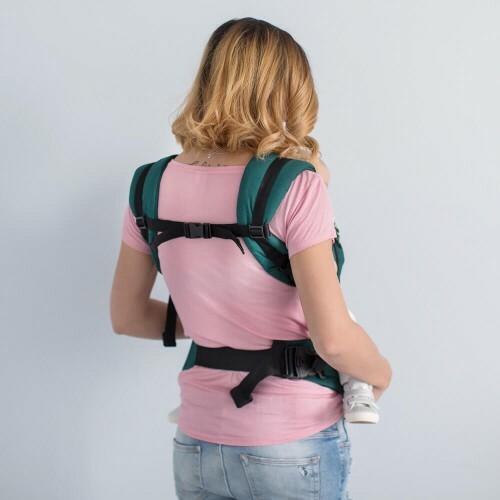 It has a big external pocket and has breathable mesh (100% PE) on the back of the carrier which makes it ideal to keep the baby cool in warm weather conditions. 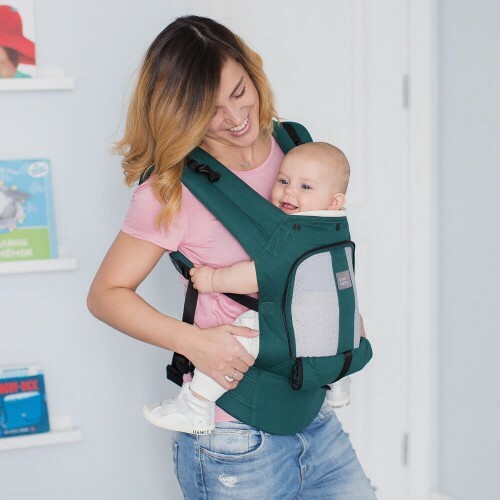 A pair of seat extenders (see our instruction manuals & video's page) is included. 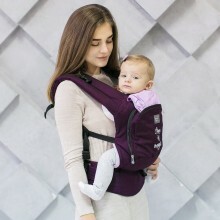 The teething pads shown on the picture can be ordered separately.